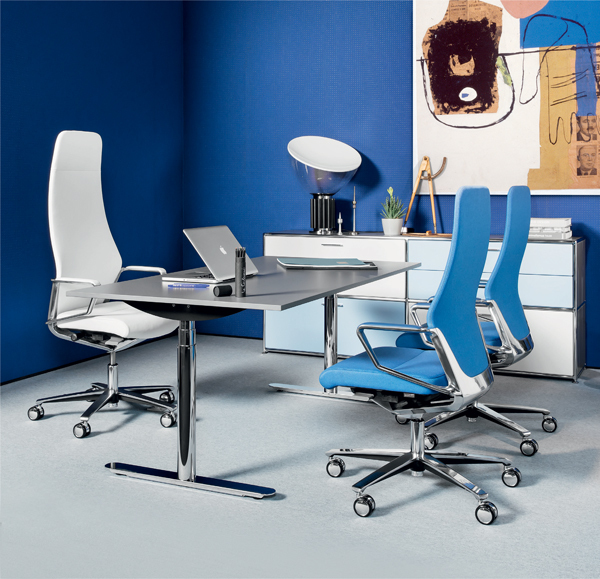 Kados is an executive and meeting chair seating range with multiple finish and ergonomic mechanism possibilities. Aesthetically Kados offers an exclusive and modern design combining style and high class features. 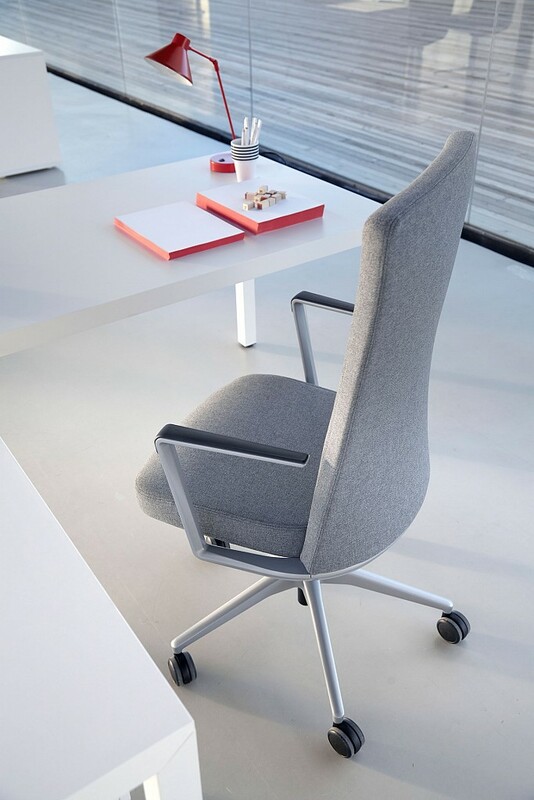 Seat and back made of flexible polyurethane density foam moulded on metal frame. 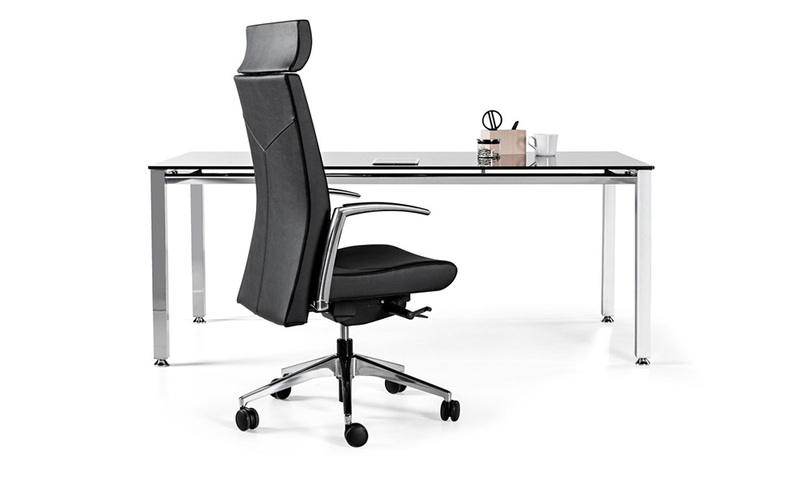 Comes with an optional seat adjustment, self-return mechanism, gas lift and synchro system. 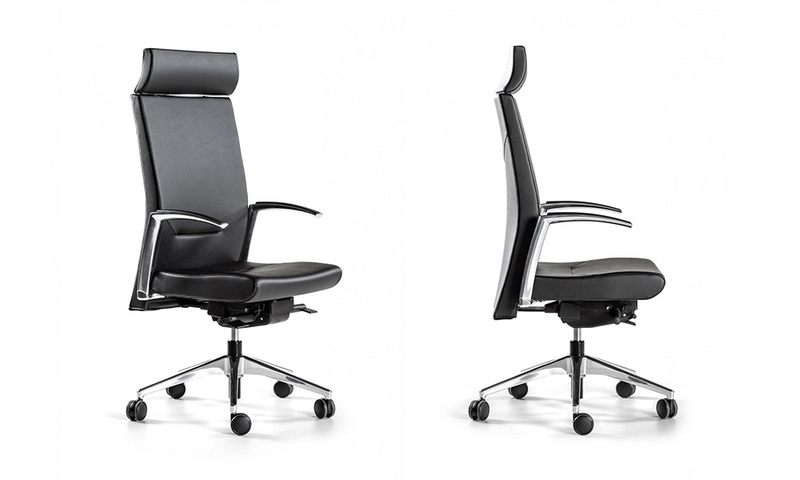 Available as a task chair with optional headrest for an executive chair. 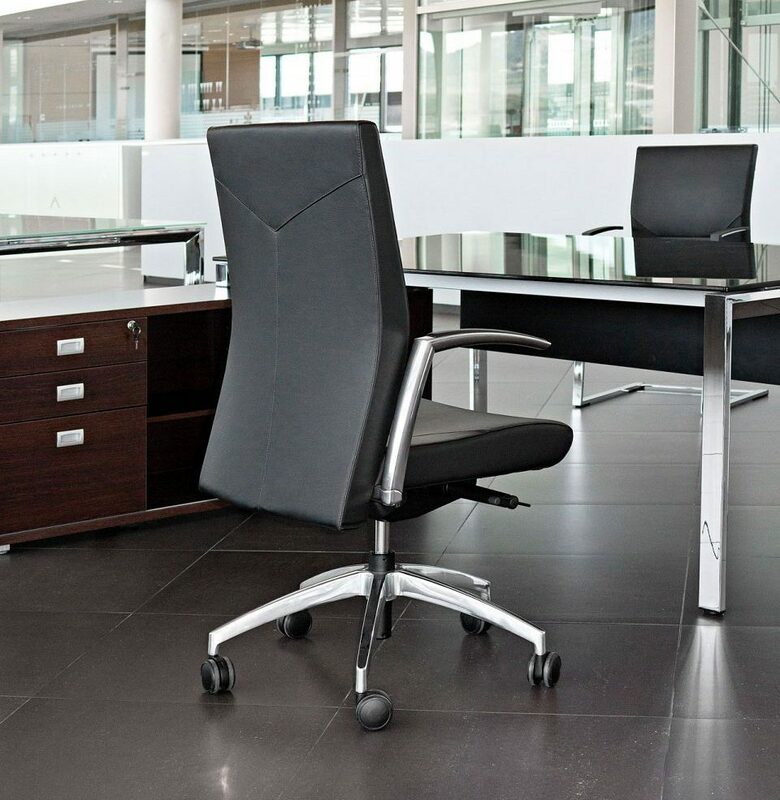 Available as a visitor chair with 4 leg option or cantilever base. Arms available as fixed moulded aluminium visitor, height adjustable arm and 3D adjustable arm for task. 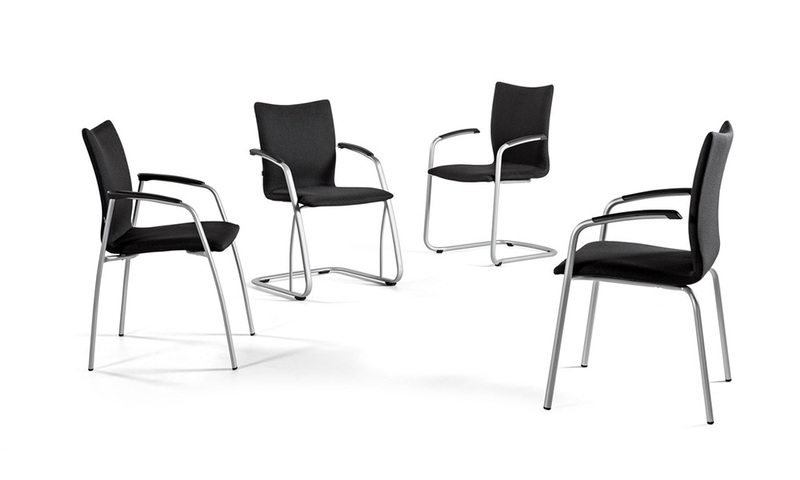 5 star base available in black polyamide, silver aluminium and polished aluminium. Back and seat upholstery in 5 fabric groups. 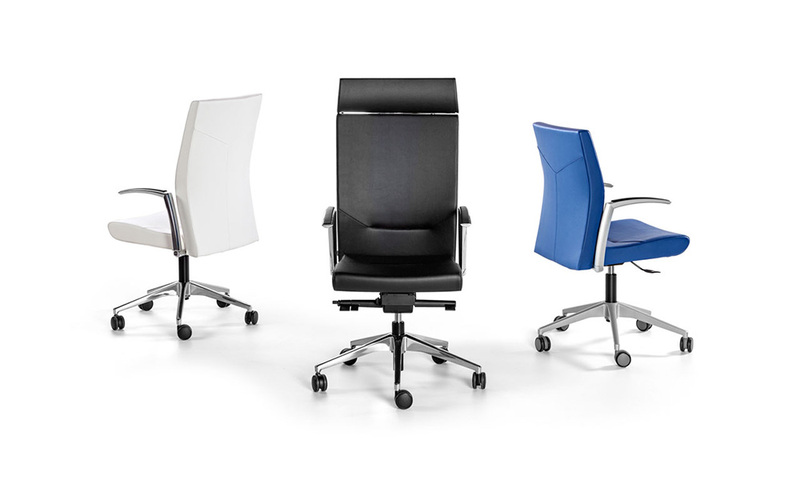 Seat and back made flexible polyurethane (PU) 40kg/m3 density, moulded on metal frame. 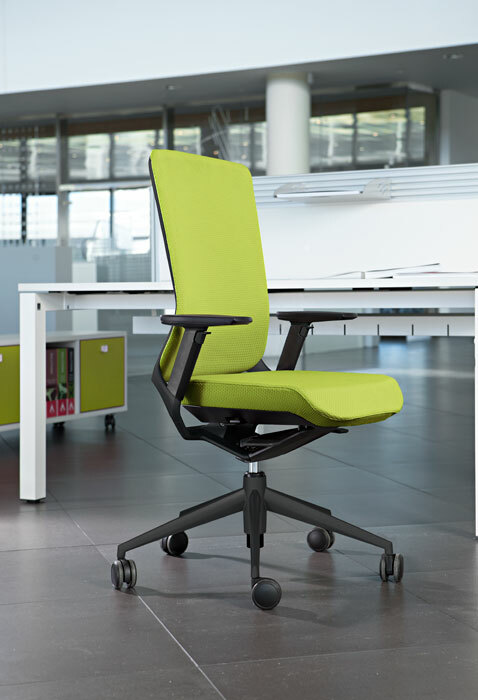 Gas lift or knee tilt mechanism on task chair. 5 star base with anti-skid castors or polypropylene caps on 4 leg and cantilever models fitted as standard.